In other words, if your interested in using the iPad in the classroom then this music resource may be what you’ve been looking for. by playing and pausing our virtual tutor. 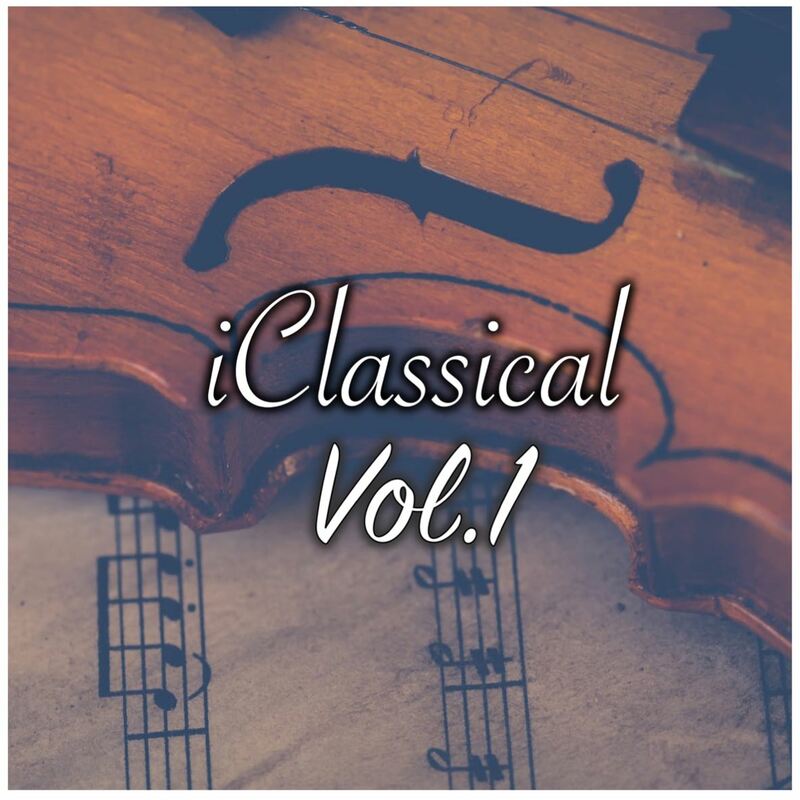 Each lesson includes a step by step video guide, musical charts and audio examples. As a result you have an iPad music specialist in your own classroom. 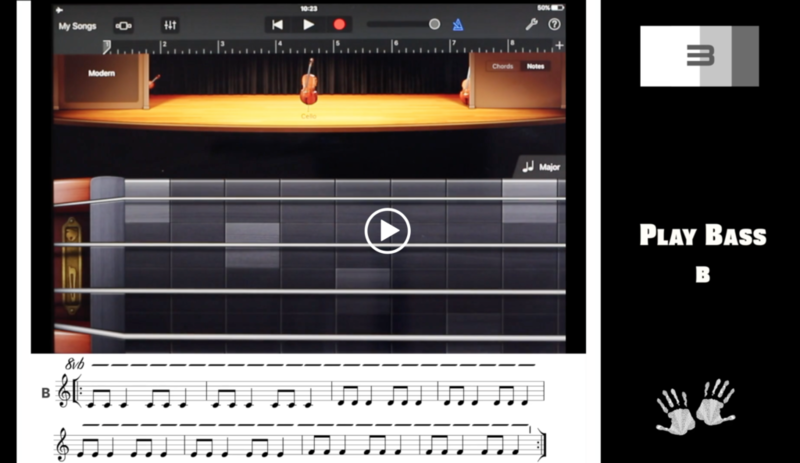 This teacher’s resource makes it easy to engage with iPad music. Firstly login and get interactive with our video lessons. Secondly choose a single activity or complete a whole lesson. In short login and you can stream lessons straight to your smart board. Every activity ends with a pause icon, therefore our virtual tutor leads at your pace. With our virtual tutor teachers don’t have to focus on developing new skills before they try something new. Consequently there’s no need to be tech savvy or musical. Though both are always welcome! Simply use the video guide to provide instruction, then pause the activity and spend as much time as required on 1-1 tuition with students. In each lesson you will cover a new aspect of Movement No. 1. There are three voices to learn, Harmony, Bass and Lead. There is also an autoplay accompaniment to enrich the texture. To clarify. Movement No. 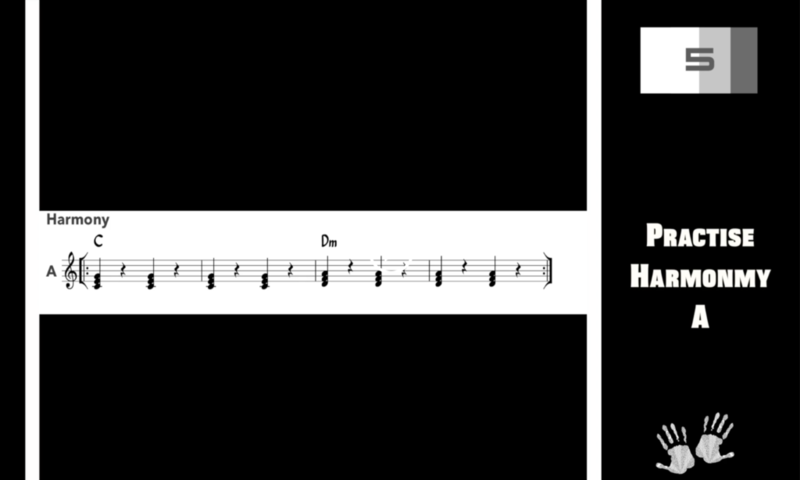 1 is comprised of two sections A & B, each with a unique chord progression, rhythm and melody. We have developed this iPad music teachers resource to ensure that the music is challenging yet achievable. How do you like to play GarageBand instruments? 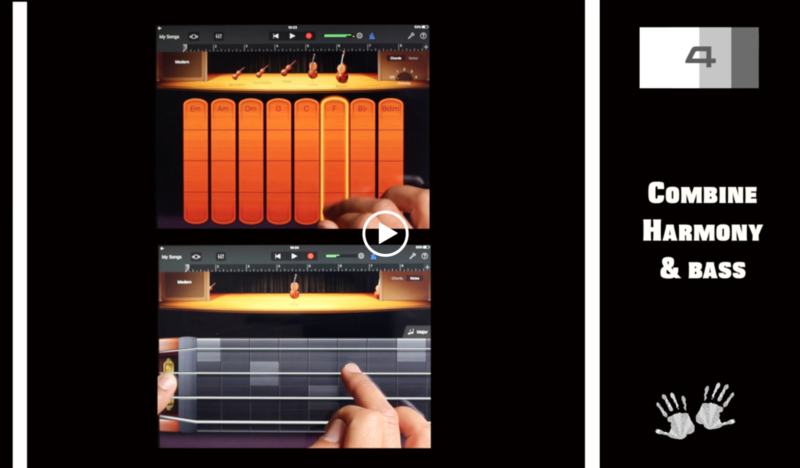 The music can be played on either the smart keyboard or smart instrument depending on which you prefer. As a visiting music service we’ve enjoyed promoting the iPad as a tool in music education. To sum up, a large number of schools now have iPads with GarageBand installed, there’s no need to download a wide range of the best apps for music education, make a start with Apple’s flagship app and our unique resources. 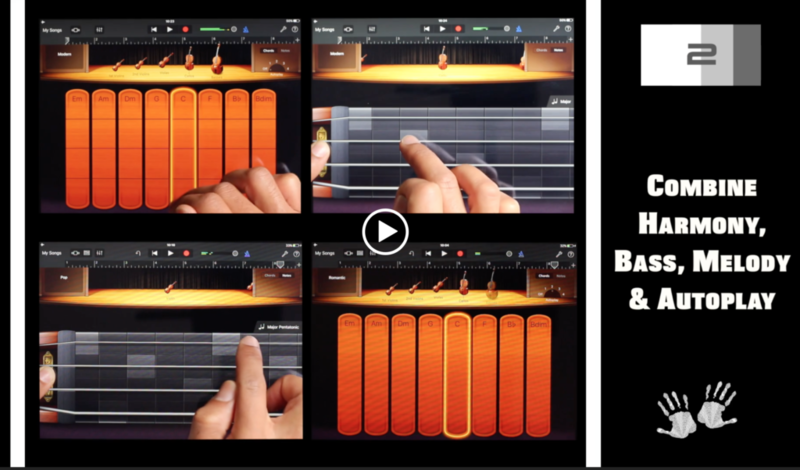 If your a complete beginner to iPad music take a look at our beginners resource iPad Orchestra!